Established in Charente since 1907, the Roumazières site is the largest production site of the Terreal group. The plant is part of the pole tiles center with the sites of Montpon and Chasseneuil. The 300,000m2 site comprises 7 clay tile and accessories production lines, a molds department, a maintenance division, a quality and control laboratory, a raw materials exploitation center and a training center. 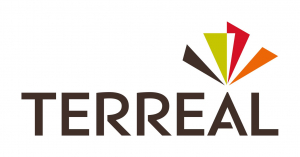 During 2017, Terreal, a leading player in terracotta building materials, acquired three elecworks™ software licenses for its Roumazières (16) production site. The elecworks™ software was chosen to replace another schematic software as part of a study project for the treatment of the obsolescence of one of the oldest production lines of the site. The project involves retrofitting a cabinet that dates from 1980 to replace part of the controller and the power control part. «We generally call for outsourcing for study projects but we decided that it would be supported by our teams. We needed software that was both powerful and intuitive to manage the study but also to update our plans and maintenance actions. After a benchmarking of several solutions, elecworks™ emerged as the software that best meets our expectations», explains Fabien Gayot, Industrial Projects Team Manager. elecworks™ is a simple and easy-to-use electrical CAD tool for automation and electrical installation projects. Equipped with an efficient graphical interface to Windows standards, it allows electricians and automation engineers to study and produce an electrical schematic more quickly while ensuring the integrity of the project. “Unlike the schematic software we have been using so far, elecworks™ is lighter and its features are tailored to our needs”. Thanks to intelligent functionalities such as making connections, inserting symbols, inserting a standard / macro drawing, inserting terminals and creating a terminal block, assigning manufacturer references, choosing cables, placing in a cabinet or working on the diagram, the user can design a reliable project while making gains on design time. Collaborative solution, it allows teams to work simultaneously on a project and view changes in real time. «Unlike the schematic software we have been using so far, elecworks™ is lighter and its features are tailored to our needs. The exchanges with our suppliers are more flexible and represents opportunities to work with other customers equipped with elecworks™» concludes Fabien Gayot.